An extraordinary find that has fired archaeologists’ imagination was discovered about two months ago in the Arnona quarter during a routine archaeological inspection by the Israel Antiquities Authority of the construction of a nursery school being built at the initiative of the Jerusalem municipality. According to Royee Greenwald and Alexander Wiegmann, excavation directors on behalf of the Israel Antiquities Authority, “There is no doubt that this is a very significant discovery Such a concentration of inscriptions and symbols from the Second Temple period at one archaeological site, and in such a state of preservation, is rare and unique and most intriguing”. At this point in the research the inscriptions are a mystery. Some of the inscriptions might indicate names. The symbols depicted on the walls are common elements in the visual arts of the Second Temple period. In the meantime, the drawing that might possibly be construed as a menorah is exceptional because in those days they abstained from portraying this sacred object which was located in the Temple. According to the excavators, “On the one hand the symbols can be interpreted as secular, and on the other as symbols of religious significance and deep spirituality”. Moshe (Kinley) Tur-Paz, head of the Education Administration at the Jerusalem Municipality said, “The large education system in Jerusalem is always in need of additional school buildings. 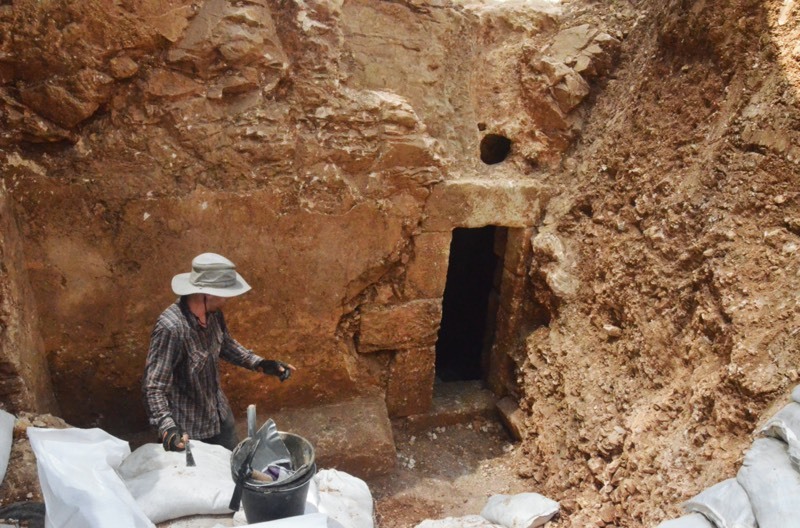 The unique find was discovered in a compound where two nursery schools are slated to be built and the Israel Antiquities Authority is currently carrying out the conservation process there. 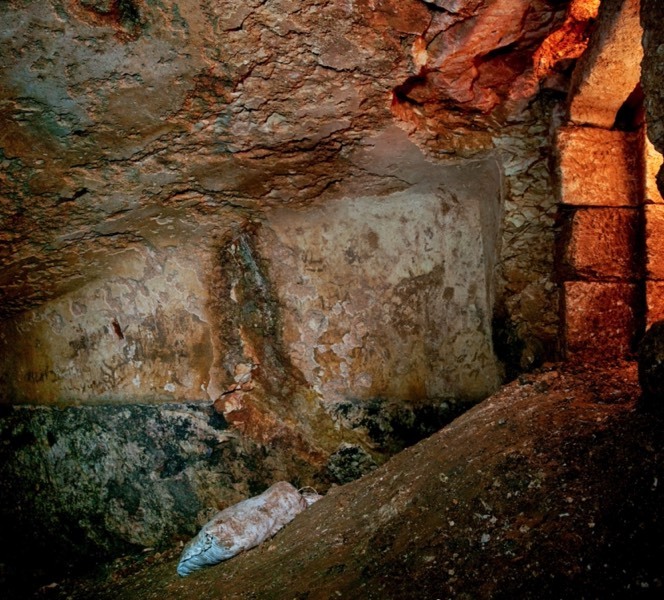 The archaeological and historical site that was exposed is of tremendous value to our identity as a Jewish people which might shine more lighton the lives of our ancestors in the city of Jerusalem. 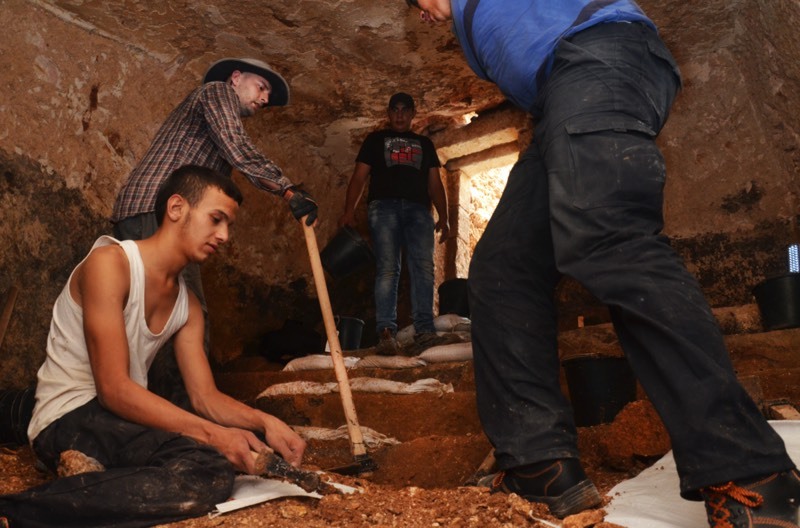 We will maintain contact with the Israel Antiquities Authority and together we will examine how we can give educational and symbolic expression to the discovery that was found". A number of issues and questions now face the researchers: What is the relationship between the symbols and the inscriptions, and why, of all places, were they drawn in the ritual bath? Who is responsible for painting them? Was it one person or several people? 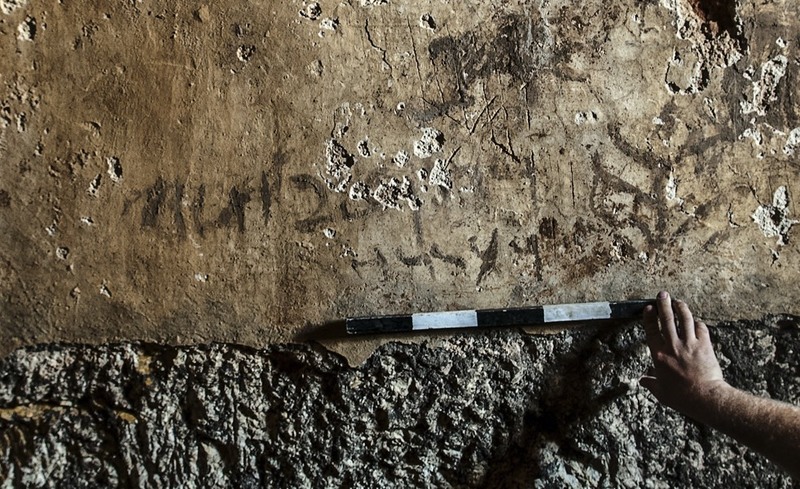 Was it someone who jokingly wanted to scribble graffiti, or perhaps what we have here is a desire to convey a deeply spiritual and religious message, perhaps even a cry for help as a result of a traumatic event (the destruction of the Temple and the catastrophic war of 66-70 CE)? 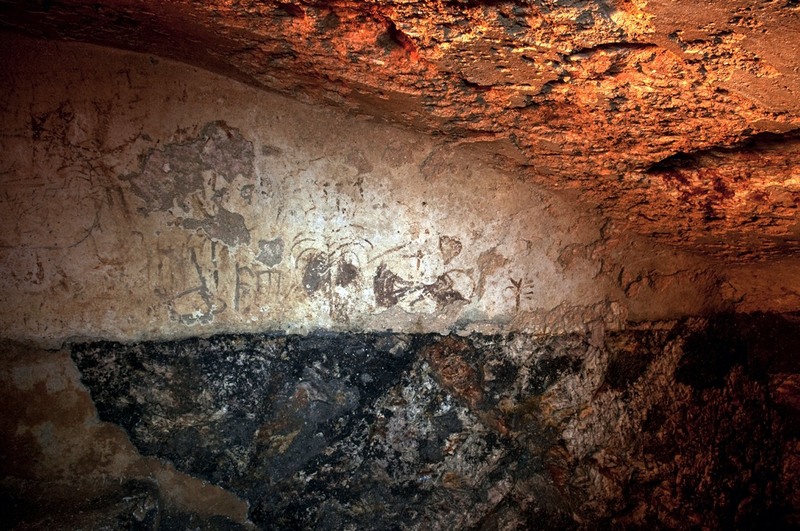 The wall paintings are so sensitive that their exposure to the air causes damage to them. As soon as the inscriptions were discovered the Israel Antiquities Authority began implementing complex conservation measures. They underwent initial treatment at the site, were removed in their entirety from the ritual bath, and transferred to the conservation laboratories of the Israel Antiquities Authority for further treatment and stabilization. In the future the Israel Antiquities Authority will display the spectacular inscriptions to the general public. 1. The opening to the ritual bath, view from inside. 2. 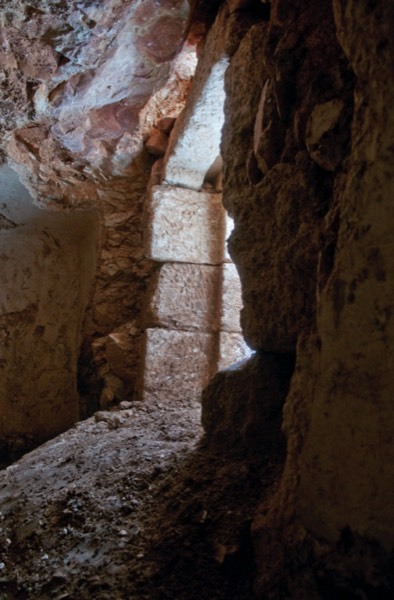 The entrance to the cave when discovered during an inspection by the Israel Antiquities Authority, prior to the construction of a neighborhood nursery school. 3. The front of the cave as exposed in the excavation. 5. 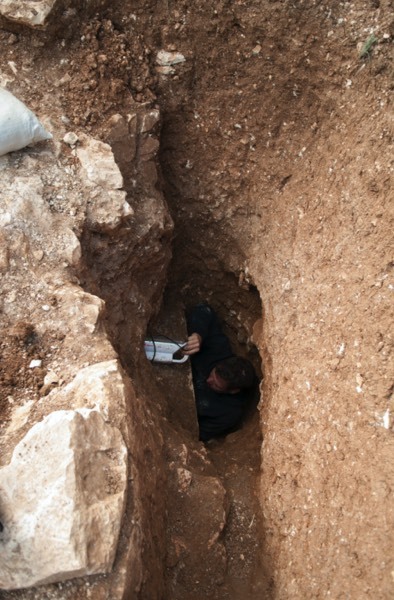 Royee Greenwald, excavation director on behalf of the Israel Antiquities Authority, examining the inscriptions. 6–11. 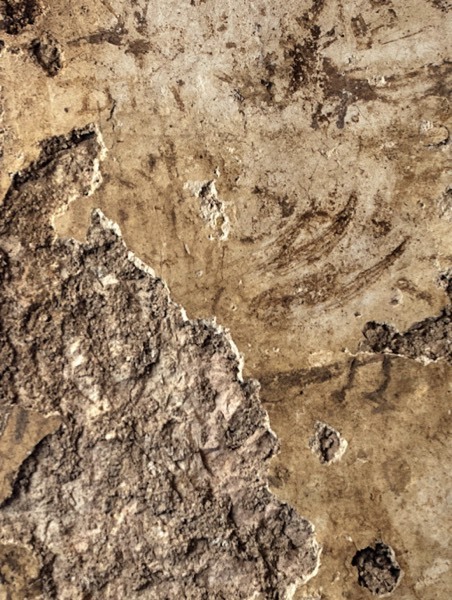 Pictures of the inscriptions on the walls of the ritual bath. 12. Video – raw footage. Directions to the site: From the Pillbox Junction (Hebron Road and Asher Viner Street) continue north toward the city center until the next traffic light. Turn right at the traffic light to a new street -Zvi Viner. The site is located straight ahead on the left side, surrounded by corrugated sheet metal.